The University of Pennsylvania Archives purchased this collection from Charles Apfelbaum Books of Watchung, New Jersey in 2006. Additions were donated by Dr. Jennifer Lynn Richardson in February 2013 (2013: 012). The collection is divided into six series; Announcements; Clippings; Constitutions and Bylaws; Correspondence; Invoices; and Minutes. All series are arranged chronologically. On Saturday morning April 30, 1910, at the invitation of the University of Pennsylvania Aero Club, delegates from a number of the colleges and universities met in convention at Houston Hall, University of Pennsylvania, for the purpose of forming an Intercollegiate Aeronautical Association. The main correspondent in this collection is George Atwell Richardson, President of the IAAA. Richardson was born on May 30, 1886 in Milwaukee, Wisconsin. He earned a B.S. in Mechanical Engineering in 1912 and the professional degree of Mechanical Engineer in 1914, both from the University of Pennsylvania. As a student, Richardson was a member of the University of Pennsylvania Aero Club, a member of the Executive Committee of the National Council of Aero Clubs of America and founding President of the IAAA. 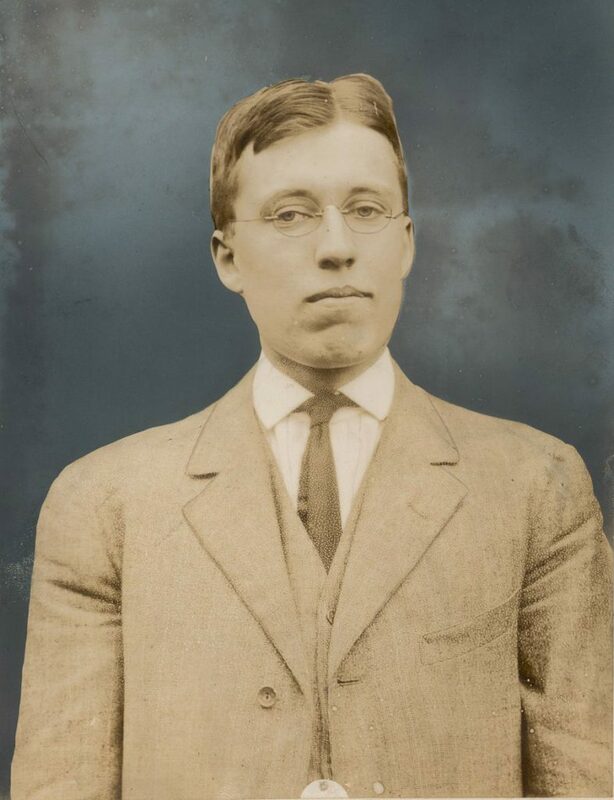 As part of his duties for the IAAA, he helped organize the first intercollegiate glider meet on May 27-29, 1911 at Harvard University and the first intercollegiate balloon race in June 1911 at North Adams, Massachusetts. The University of Pennsylvania Aero Club sponsored a balloon called the “Philadelphia II” in the 1911 race. A.F. Atherholt piloted the balloon and Richardson captained it. According to the rules of the race, the balloon that covered the longest distance won the race. The “Philadelphia II” won the race after flying 115 miles from North Adams, Massachusetts to West Peabody, Massachusetts at heights reaching up to 12,000 feet. During his years at Penn, Richardson gave popular lectures about aeronautics at various colleges, universities and other places including the Franklin Institute in Philadelphia. His illustrated lectures included lantern slides and moving picture footage of the making and flying of various types of flying machines. Richardson also contributed articles regarding student life at the University of Pennsylvania to the magazine The Intercollegiate. After finishing school, he served in the Sixth Division Home Defense Reserves during WWI. He spent his engineering career working for companies including the Bethlehem Steel Co. and the Midvale Steel and Ordinance Company. Richardson died at the age of 90 on January 11, 1976. This collection does not give information about the duration of the IAAA. By April 1911, George A. Richardson was writing various people seeking funds to file the Association’s incorporation and complaining that only three university Aero Clubs paid dues to the IAAA. The last piece of correspondence in the collection dates to 1913 and inquires about Richardson’s activities after he had not written the correspondent in a while and about the illness of his father. The Announcements series contains promotional releases for Richardson’s traveling lecture entitled “Flight.” The series also contains announcements relating to the activities of the Intercollegiate Aeronautical Association of America, including the proposed rules for the second annual intercollegiate balloon race. The Clippings series includes articles pertaining to the University of Pennsylvania class fight of 1910 and to the replacement of the Aero Club of America with the American Aeronautic Association. The Constitutions and Bylaws series consists of the constitution and certificate of incorporation for the Intercollegiate Aeronautical Association of America and the constitution and articles of incorporation for the National Council of Aero Clubs of America. The Invoices series includes bills for printing services; book and magazine orders; club activities; film service and lecture fees. The Minutes series documents the joint convention of the Aeronautic Federation of America and the American Aeronautical Association on June 22, 1910; the Intercollegiate Aeronautical Society of America on April 8, 1912; and the Intercollegiate Aeronautical Convention on April 30, 1910. Intercollegiate Aeronautical Association of America. University of Pennsylvania Aero Club.